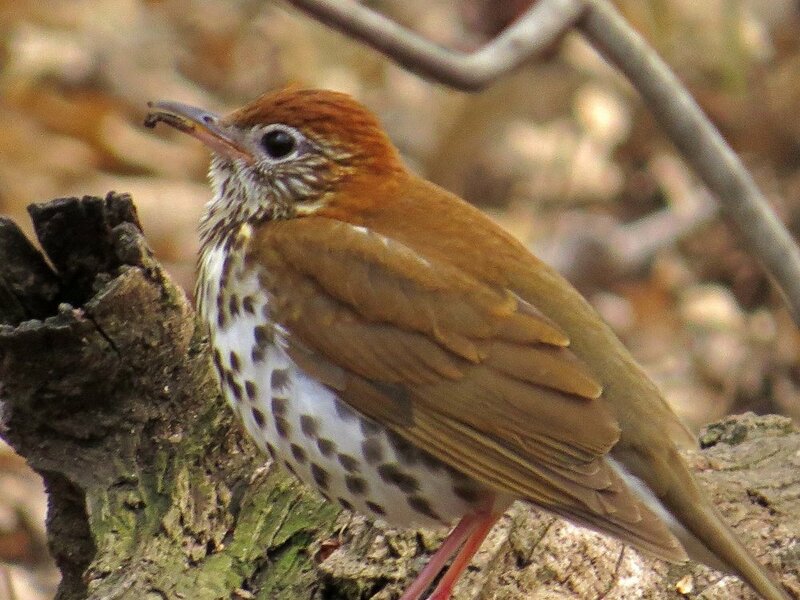 Though not rare, wood thrushes (Hylocichla mustelina) are special visitors in Manhattan. I have had three sightings: May 11, 2013, Nov. 14, 2014, and April 23, 2017. 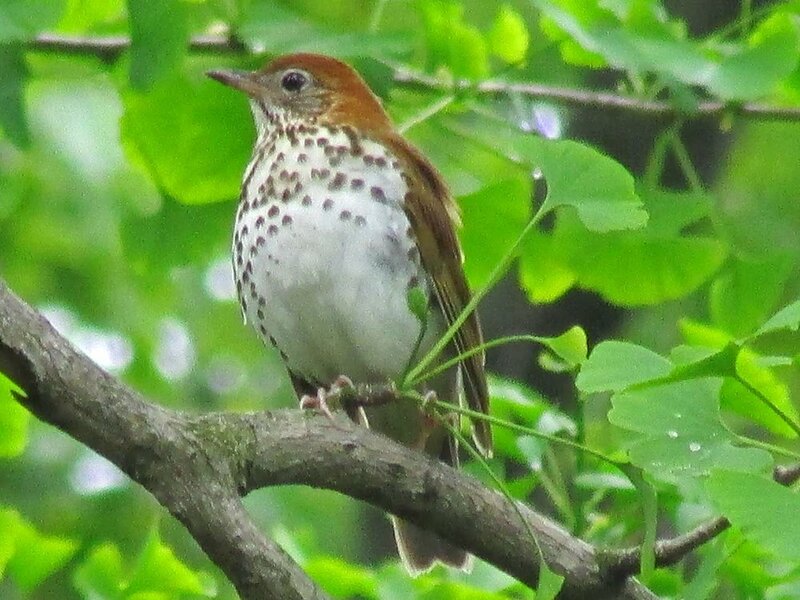 In 2013, there were two wood thrushes singing, a glorious sound to hear in the Ramble in Central Park. 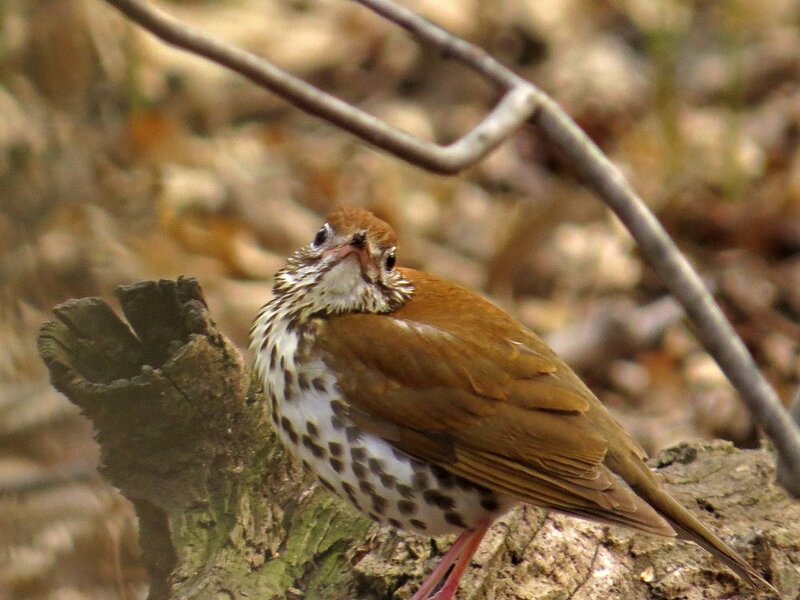 In 2014, the wood thrush was hanging out in small planted areas surrounding a corporate building at 49th Street and Sixth Avenue. The 2017 visitor was foraging in the leaves between the Humming Tombstone and Tupelo in the Ramble. 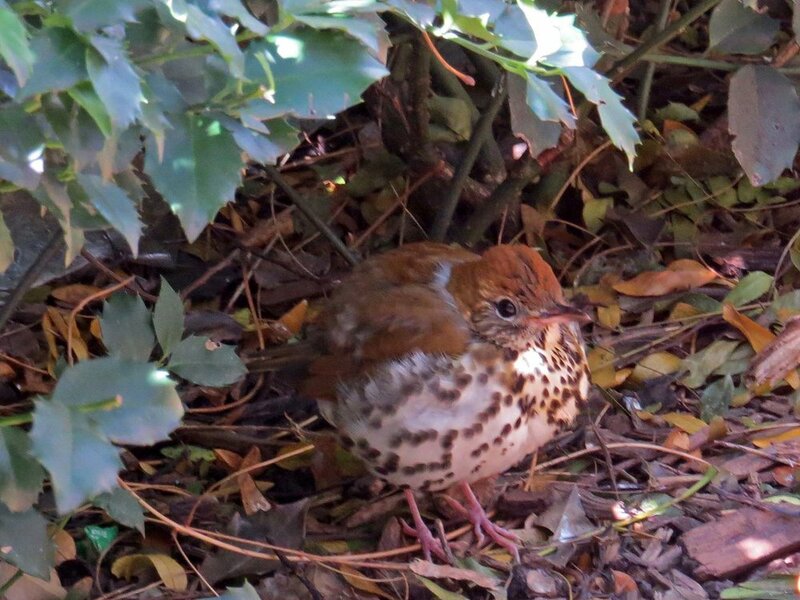 I didn't take video of the thrush in 2013, but did in 2014 and 2017. The Filming the Feathers video is set to music by Carl Philipp Emanuel Bach, Flute Sonata in A minor, H. 562, performed by Lydia J. Roth. 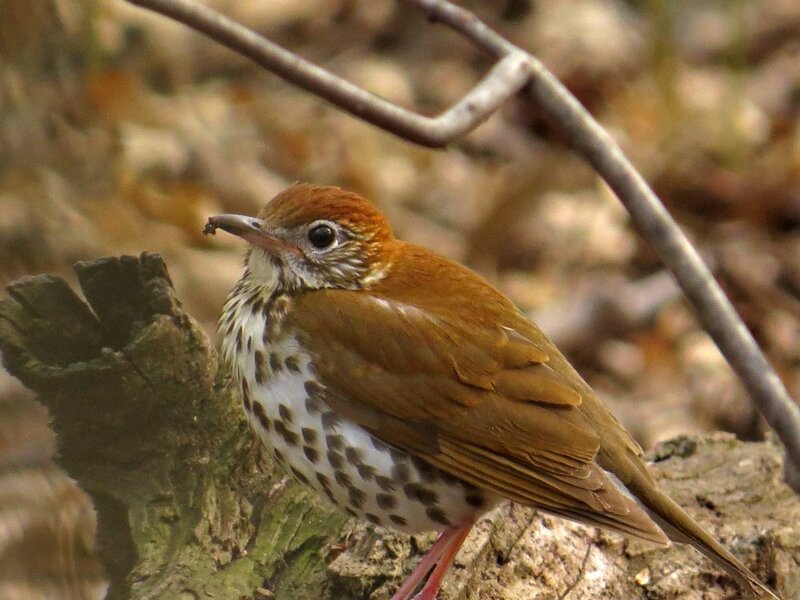 The wood thrush I spotted in April 2017 was foraging for insects, digging and flipping up leaves. There was not a lot of light, but I did take photos. 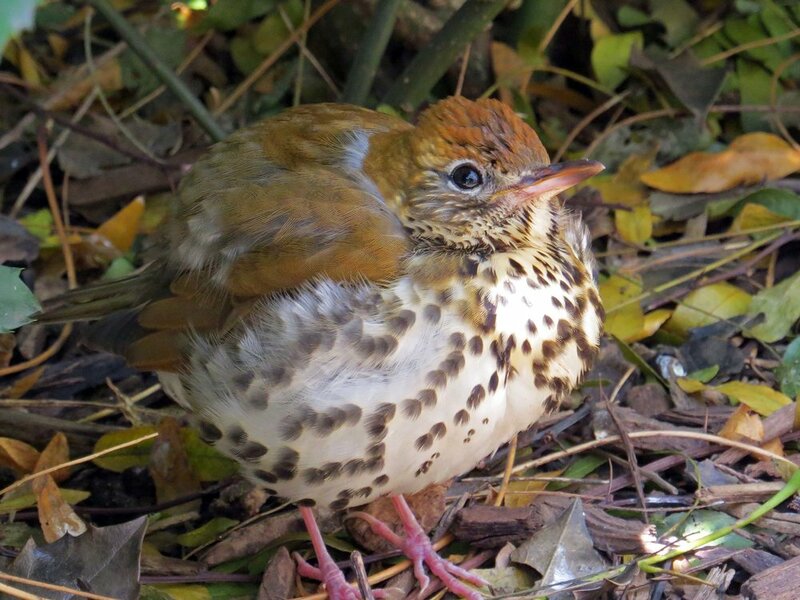 The 2014 thrush was joined in the middle of Manhattan by a brown thrasher and hermit thrush. What a holiday gift for New York! 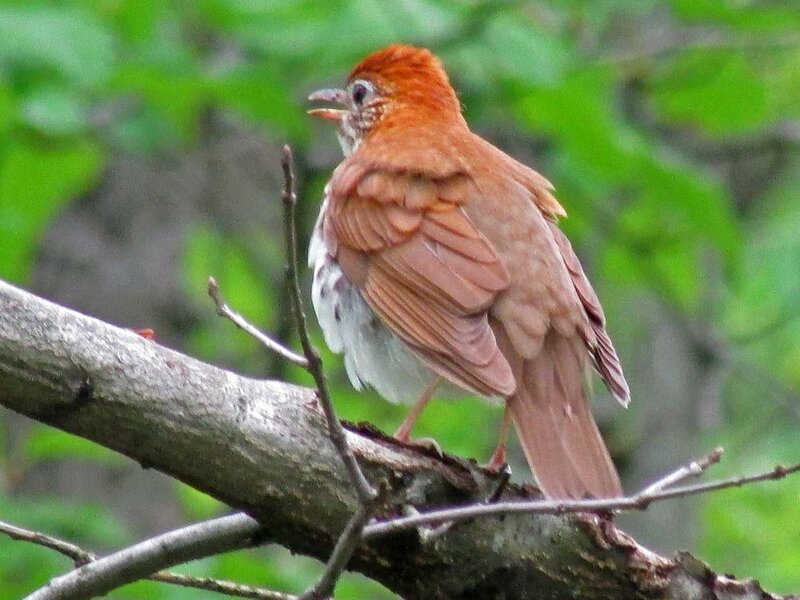 These photos were taken in the Ramble on May 11, 2013.